Furthering their global sustainability leadership, Prologis engaged BranchPattern to assist in developing one of the world’s first applications of the WELL Building Standard to the industrial sector. Applying health and wellness principles to the industrial sector presents a unique opportunity to create a better built environment for a population that is typically more at-risk and exposed to unhealthy conditions. Adapting WELL for an industrial product allowed our team to evaluate what health and wellness means in an industrial environment, where 24/7 shift work is normal and physical work can be intensive. The process of applying WELL to a new market sector required careful coordination with the International WELL Building Institute (IWBI). As a trusted advisor to Prologis’ real estate development and sustainability teams for many years, BranchPattern has been able to successfully advocate on our client’s behalf while working with IWBI to develop a tailored WELL Scorecard. As part of our commissioning process, BranchPattern incorporated indoor environmental quality (IEQ) testing in accordance with WELL protocols. By conducting many of the same tests as the WELL Assessor in advance of their site visit, we were able to identify issues that required corrective action while the contractors were still mobilized. As this project demonstrates, our abilities to incorporate IEQ testing into our commissioning process streamlines the WELL Certification process, resulting in less cost and disruption to the construction timeline. 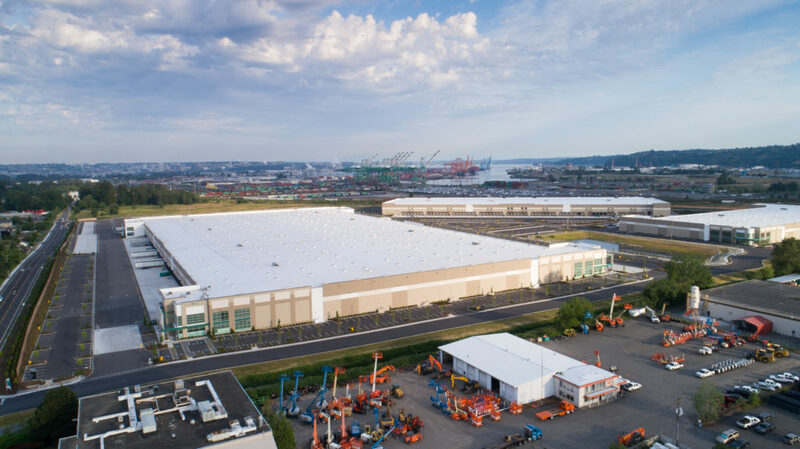 Prologis Park, Tacoma Building D achieved WELL Building Standard™ Silver Certification in September 2018.